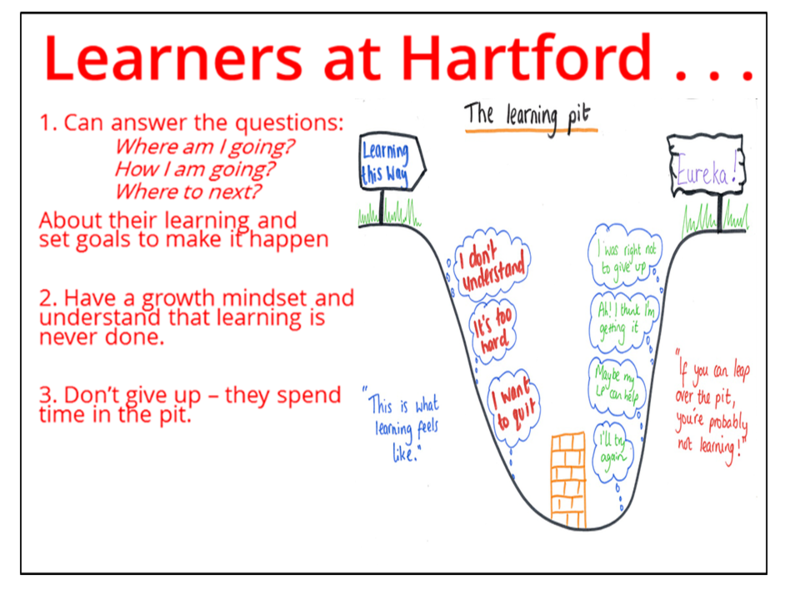 The district adopted the “The Learning Pit” as a tool to help our students develop a growth mindset to embrace challenges in their learning journey and to understand that learning is hard work. A study by Harvard University shows we learn a lot about ourselves when learning doesn’t come easy. Resilience can be learned and is necessary skill for all of us to get through those tough moments in life. One of the district’s Vision 2020 competencies is that we want our students to think critically and solve complex problems. To achieve that competency, students need to persevere and be resilient when they are challenged in their learning. Another Vision 2020 competency is students will learn how to learn. 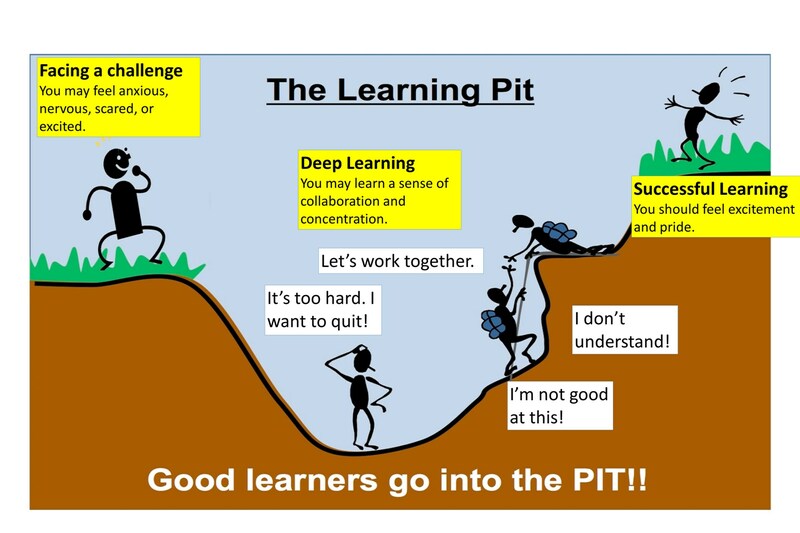 The Learning Pit visual helps students understand that learning is a challenge, but we can get better at it (“get out of pit”). 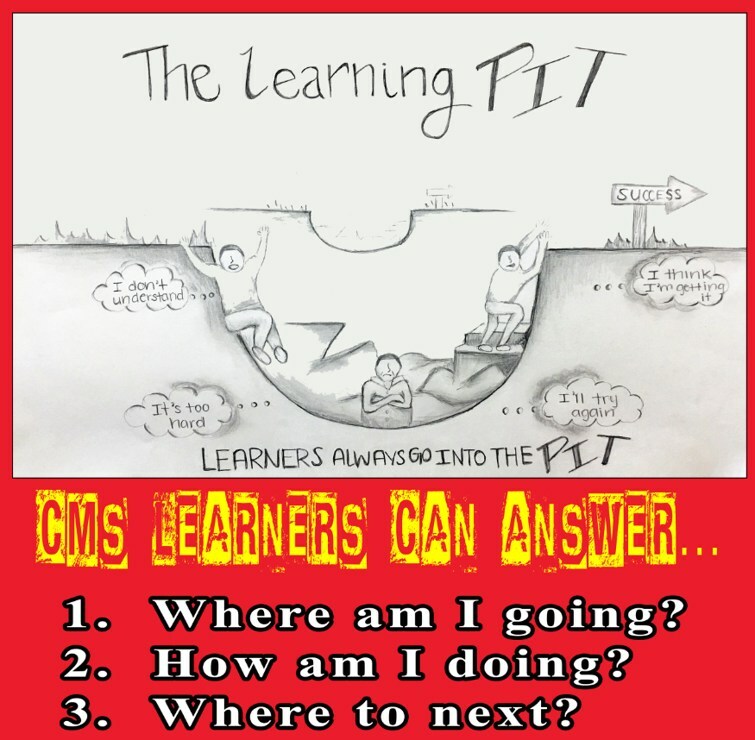 To get out of the pit, students must reflect on their own learning and identify what skills and strategies they need to get out of the pit.